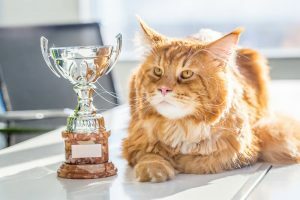 Are you thinking about becoming the proud owners of a feline friend and in need of some basic cat care and cat grooming information? Look no further. Sharing your life with a cat is a wonderful experience. But what are some of the basic cat care facts you need to know to keep your feline in tip-top shape? It’s important that your cat has a full, well-balanced, specially formulated cat diet. Dog foods or alternative food like vegan diets can kill a cat. It’s very important that you do your research and speak with your vet if you are considering putting your cat on an unusual diet. Your cat will also require different nutritional needs for different stages of their life. 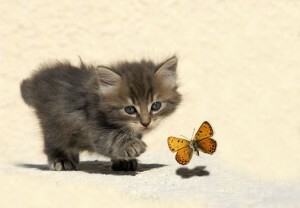 Kitten foods are specially formulated for kittens, while older cats will require different nutritional levels. It is important that your cat always has access to fresh water and is fed in a quiet and safe location (not next to the dog). Shelving can be perfect for this. Cats of all coats and ages will appreciate a good daily or weekly grooming session. 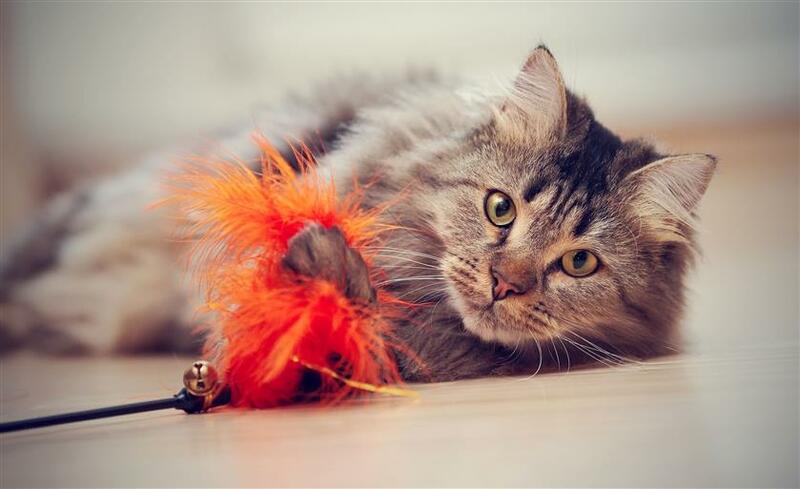 Grooming is a great way to bond with your cat and also to check their skin for any underlying problems such as matting, fleas, dermatitis or hair-loss. For long-coated or double-coated breeds grooming is a must. Matting can cause tangles that can lead to pain and hair-loss. 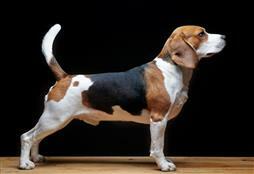 Speak with your groomer, vet or breeder about the grooming supplies and requirements of your chosen breed. Cats will benefit from nail clipping. The best time to introduce this is during kitten-hood. Have a friend hold your cat and carefully push their nails out, by gently putting pressure on the toes. Do not cut your cat’s nails too short – never go past the quick (the moon shaped area close to the skin). In white nails this is easy to see as it’s normally pink and easily detected. The trick is to just take the tips off. 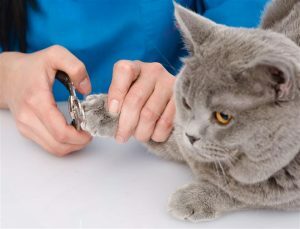 If you need advice; ask your veterinarian for basic cat care tips and to show you how to clip your cat’s nails on your next visit. It is important to look after your cat’s teeth. Brushing their teeth is not the easiest form of treatment, but it is good if you can! Nonetheless, for most, a yearly trip to the vet for a dental check-up is important. Getting your pet’s teeth cleaned and scaled is an affordable way to keep their teeth in tip-top shape. After all, your cat’s teeth are the gateway to their body meaning bad teeth can cause huge problems including heart, kidney and liver issues. Also, consider using an edible teeth cleaning product that you can sprinkle over your cat’s current diet. Some teeth-cleaning biscuits are a great way to help with the cleaning of your cat’s teeth during food time. Your cat’s breath should never smell overly pungent. If it does, seek help. These are the most common problems with cats and are very prevalent in outdoor cats who find themselves in fights. A simple scratch or bump can quickly develop into a very swollen mass. Seeking professional advice quickly is important. Your cat may need antibiotic treatment and you may also need to help ‘drain’ the abscess daily. If your cat does develop a very swollen paw or lump, call your vet immediately. 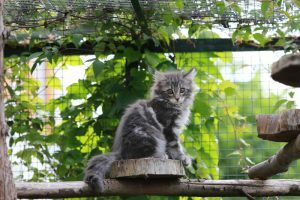 If your outdoor cat is constantly suffering from abscesses, perhaps consider building an outdoor enclosure and keeping your cat indoors, away from fighting neighbourhood cats.